Due to high demand we've added an extra date for this course! 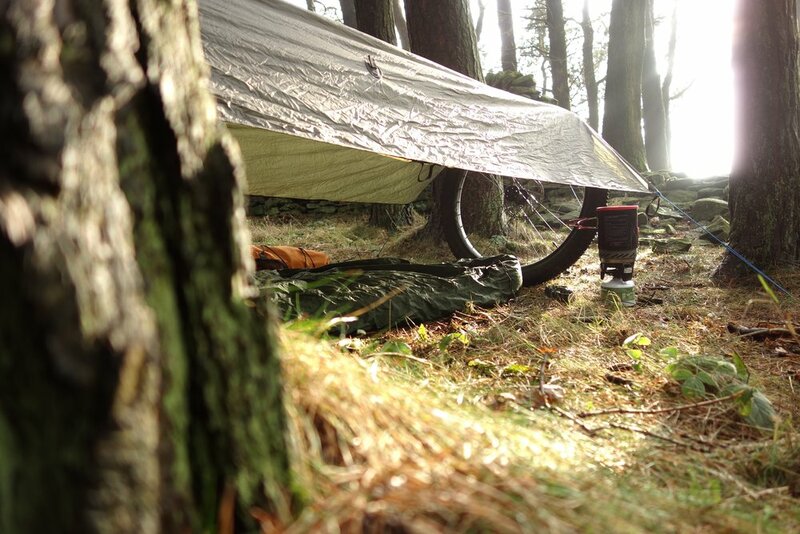 Learn the basics of bikepacking on this two-day introductory course ideal for beginners - and sleep under the stars on an overnight wild camping adventure! Bikepacking is a true wilderness adventure - experience the freedom of long range, multi-day hiking with the thrill of riding a mountain bike, carrying only your essential gear. It’s about seeing more, doing more, and going to places less travelled, near and far - sometimes straight out of your back door! By day you explore on trails and dirt tracks taking in fantastic scenery and by night you can set up camp anywhere you like - in the woods, in a field, on the side of a mountain, by a lake - the possibilities are endless! You don't need to buy loads of expensive gear or be a navigation champion to go bikepacking... You can start by using your own gear or borrowing the basics and get advice from an expert on how to plan and execute your own adventure - and that's exactly what you'll learn on this weekend! Gear: What to take and how to pack your bike. Bike skills: Loaded off-road riding. On Saturday morning you'll meet Pete to go through kit, what to take, how to pack the bike, basic bike maintenance, and route planning. You'll then head out into the Peak District at a gentle pace with plenty of stops - you'll spend the day riding off-road, going through skills and techniques before finishing up at a beautiful secluded wild camp spot in plenty of time to set up before it gets dark. After you've enjoyed a night sleeping under the stars, on Sunday morning you'll pack up and slowly cycle back, enjoying the scenic views of the National Park along the way. There will be time to cover any other skills that you want to learn about and you can choose from an easy or more challenging ride back! You’ll likely finish at a cafe in the early afternoon before arriving back at base, where you'll unpack and get the chance to ask Pete for any final advice and tips. After that you're free to head home or carry on exploring! No previous off-road cycling or mountain biking experience is necessary and only a moderate fitness level is required - but you need to be happy cycling around 20-30 miles per day and sleeping outside on Saturday night. You are welcome to bring your own bike (we recommend a hard-tail mountain bike) and equipment or you can hire it all from us. All you need to bring is a sleeping bag and a sense of adventure - we can guarantee you'll have an amazing time and come away with skills, knowledge and excitement! Our recommended kit list for bikepacking adventures is HERE. You need to bring your own sleeping bag but you can hire the rest of the kit from us (see below for info on the packages available). You'll meet at The Adventure Hub, inside the Hope Valley Garden Centre (more details and directions will be provided nearer the time). After a few hours at the hub learning the bikepacking basics you'll check all your kit, pack up and set off on your adventure! You'll need to pay a £75 deposit when booking with the balance due by 28th May 2018. There are only SIX SPACES on this course so book now to avoid disappointment!